The kidney is still very much a black box to me. 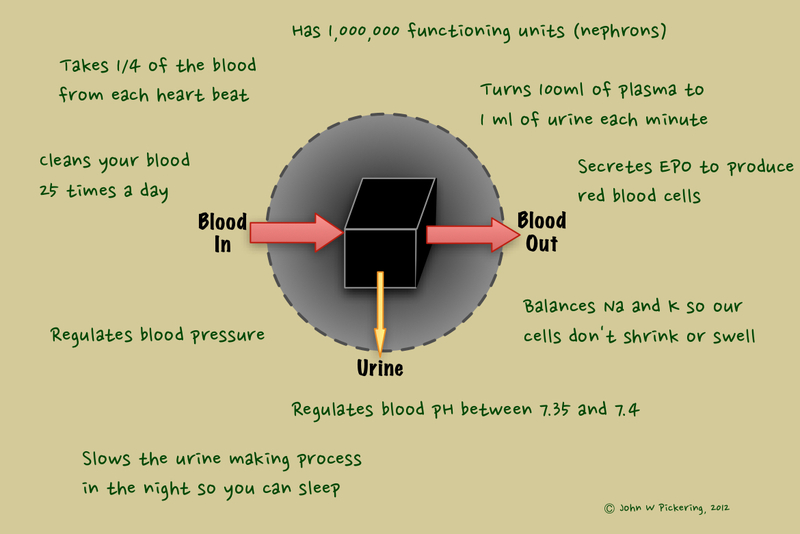 Hence, the box in this mini-infographic (a “minfo”) describing some of the cool stuff our kidneys do. As you can tell, it is not just a brilliant filter getting rid of waste products but so much more. Dialysis (with the aid of Nephrologists’ potions) has got to do most of this stuff too.